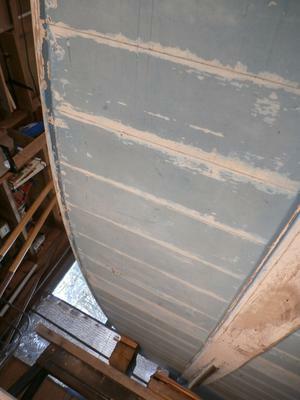 Hi- I am doing some restoration work on the 12 ft skiff- heidi. 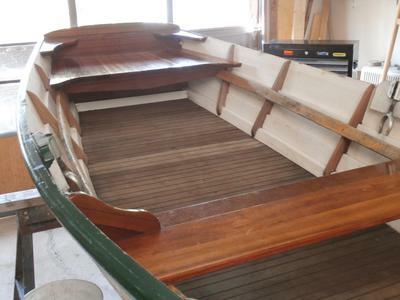 It has a lapstrake hull and flat bottom cross-planked with teak deck boards. What should be used to seal seams on bottom before bottom paint goes on? Boat will be in fresh water lake for season in upstate NY. 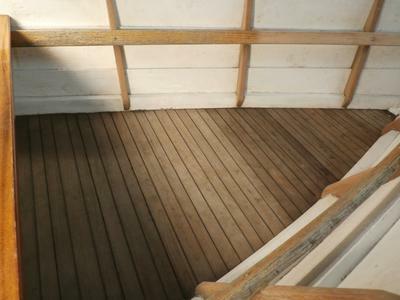 Also, should deck seams (floor, inside boat) be calked with a suitable calk for teak or will oiling the wood be sufficient. It has not been calked previously and has been in use. Hopefully the pictures will give a better idea of what needs to be done. Hey mike, appreciate the wisdom. I know this is a design that’s supposed to take water and swell the joints. I was getting the feeling that the floorboards were tongue and groove, I haven't worked on the bottom yet so will see, but the seams I believe match up top to bottom. I'll see what the wood is, there doesn't appear to be any residue of caulking in seams, and it's a narrow gap, should swell up good? I guess I have a problem with painting a boat and then expecting the water to get thru. My own boat is the cartopper, harold payson design. I have no contact with the builder so I'll have to do a little detective work.. If she hasn’t leaked before then I would suggest that you just paint and oil her. 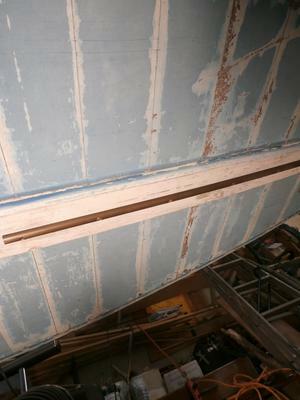 I suspect that there may be a waterproof membrane between the bottom planks and the ‘floor’. Too much unnecessary caulking can cause problems once she ‘takes up’. You could use something such as Slick Seam after having painted her.